Description: Somewhere in the countryside the farmers are actually decendants of an ancient sect of druids (human sacrifices, etc. ), so they have nothing better to do but terrorize the country folk. Make no mistake though: This is pure gold amongst bad movies! Finally, it’s not my rip so my appreciation goes to the original ripper. Have fun! This ultra low budget horror film is among the best B gore films of the era, and is truly a camp classic. In it, a small Midwestern town is being plagued by a series of bizarre ritualistic murders. It seems a covert society of Druids is killing some of the townsfolk in a search for the perfect “blood host,” who turns out to be the teenage daughter of a local scientist. 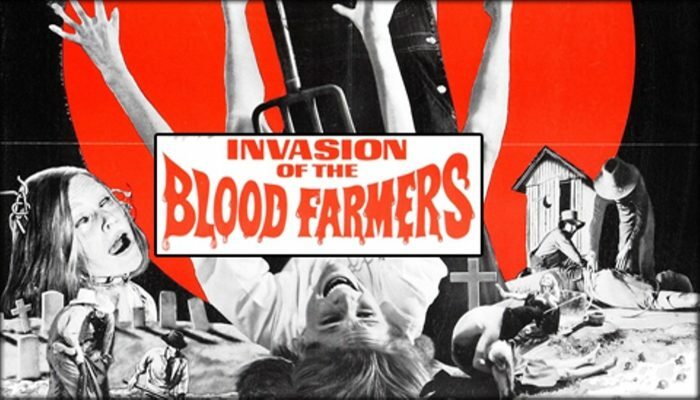 Full of inept acting, gore, and ridiculous dialogue, INVASION OF THE BLOOD FARMERS is a boon for fans of camp horror.